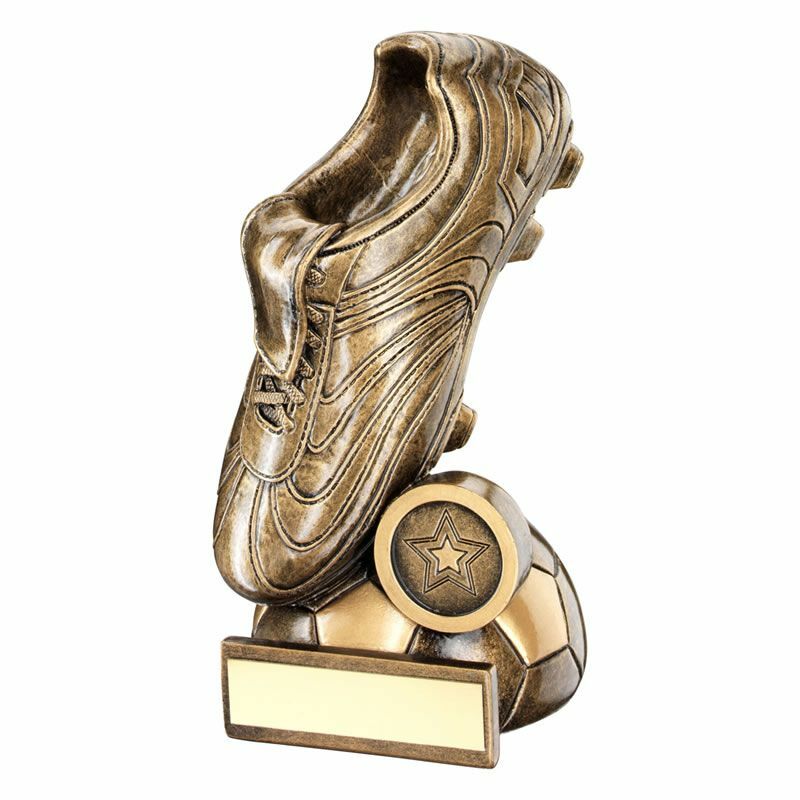 Football golden boot trophy made in resin with bronze and gold finish, featuring detailed football boot shown upright on a half football base with 1in centre and engraving plaque. Available in four sizes. Offered with text and/or logo engraving options for the base plaque.